I did manage to track down the movie The People Speak and I watched it over the course of several days last week. Famous actors and musicians lent their voices to the speeches and writings of radical Americans, while Howard Zinn offered a narrative structure, and historical photographs and video footage provided a visual context. A good package, overall, but something about it felt lackluster to me. While the folks involved were suitably impassioned (Marisa Tomei, David Strathairn, Jasmine Guy, and Viggo Mortensen gave several particularly stirring performances each) I couldn’t help thinking that it would have been cooler if the ‘cast’ had been composed of commoners – as if the unremarkable extraordinary everyday folks could bring something more genuine to the project. Of course many of the glittering famous people involved had less than glamorous origins, so I’m splitting hairs here most likely. In the end though, the movie didn’t satisfy me. Heartbreaking. And yet hopeful. I’m glad to have met Alan Cope. I’m also very pleased to have made the acquaintance of Langston Hughes. In April, in celebration of National Poetry Month, L of Omphaloskepsis shared her growing addiction to spoken word poetry. I enjoyed many of the youtube videos and TEDtalks she posted, and I was reminded of how much more I enjoy poetry when it is spoken or read aloud. I had Selected Poems of Langston Hughes checked out of the library because he had landed on my post-A People’s History of the United States reading list, and I proceeded to read it out loud – to myself. My housemates may have caught the sound of my voice carrying through the house late at night, because I quickly found that some poems can’t be read softly. Many of Langston Hughes poems really must be exclaimed! I miss reading out loud. I used to read to my sisters everyday after lunch, until my mother sent us all reluctantly back to our schoolwork. I was talking to my little sister recently about this, and she said that she had an almost perfect memory of the events of certain books that I had read out loud, whereas her memory of other books she had read herself (in the normal fashion) was spotty at best. Interesting. The spoken word is powerful, and oral storytelling is especially so. As I discovered, even when your only listener is yourself, something about reading out loud transforms the whole act. It pulls so many additional senses into the experience, and invites your tongue, your face, and probably your hands (especially if you’re part Italian!) to the party. I so thoroughly enjoyed reading Langston Hughes to myself that I went straight off and got a few more books of poetry to lend my voice to – Alan Ginsburg and Roberto Bolaño are next on the list. 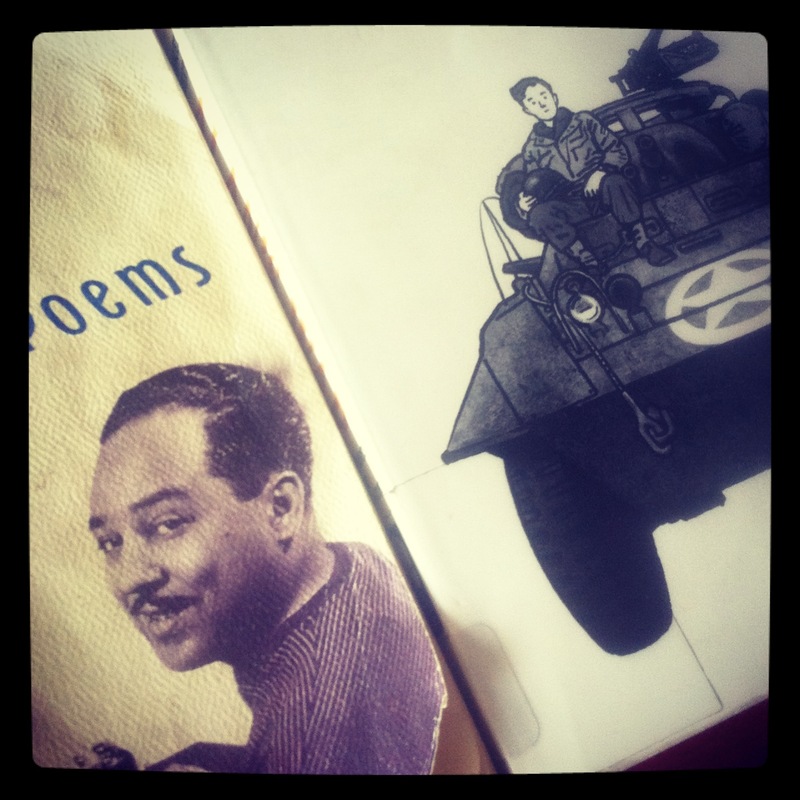 Here are a few of my favorites from Selected Poems of Langston Hughes – read them out loud! I adore mr. hughes…and alan ginsburg. I haven’t seen The People Speak, but it would’ve been cool to put non-famous people in amongst the known. I was just thinking about how we haven’t read aloud a book together in a while, and some do especially beg for not only that shared adventure, but the audio-sensory as well. Going to have to discuss this w/ the fam tonight, pick a book and read it aloud together. My Dad read aloud to us after dinner for years – so many good books. 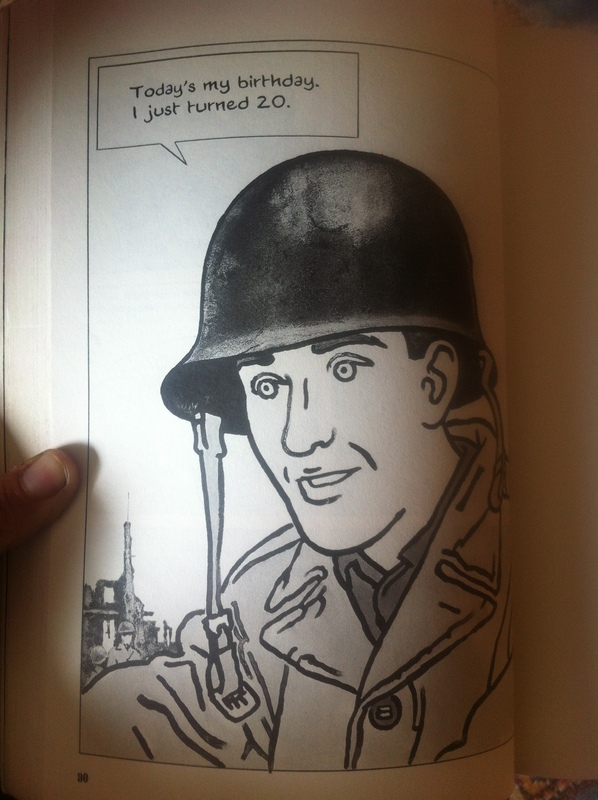 He did voices and everything – I just tried to be like him when I read. SO MUCH FUN! 🙂 I hope you guys find something delicious to read. Love those poems! I miss you and dad reading aloud.